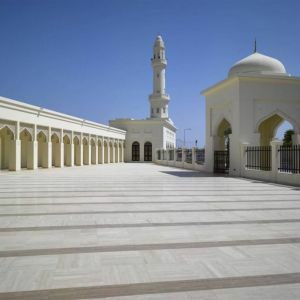 Sheikha Moza mosque is the first public mosque in Bahrain. 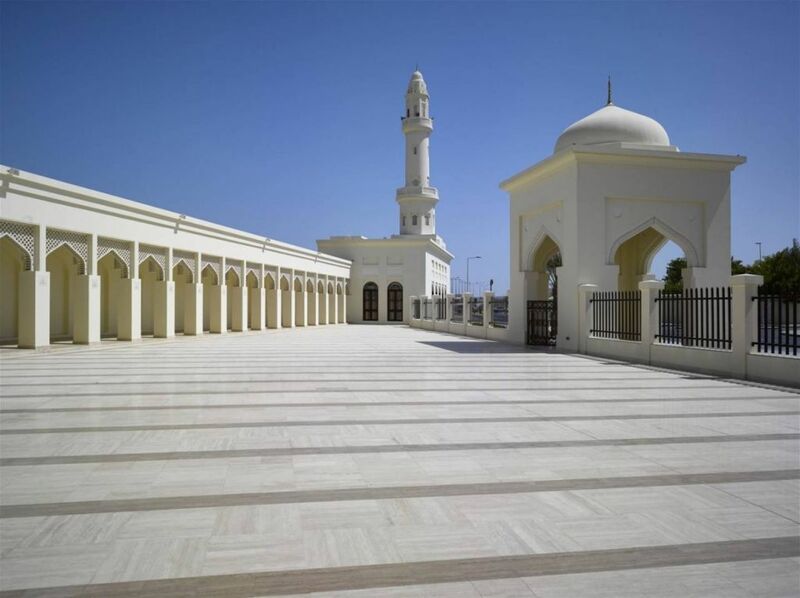 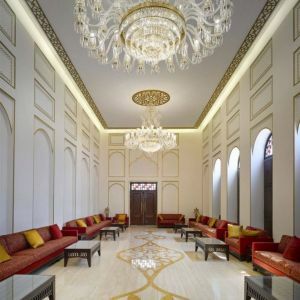 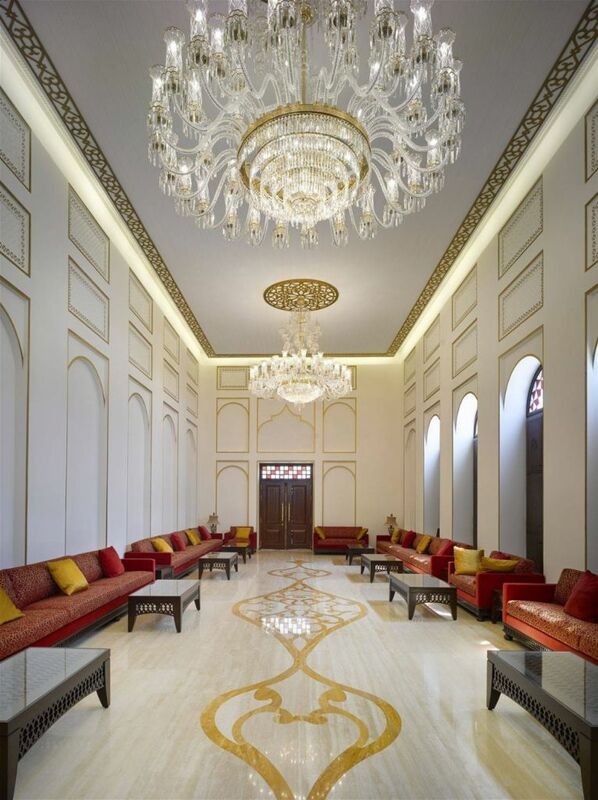 The mosque was built according to the traditional Bahraini architectural style and was inaugurated in 2015. 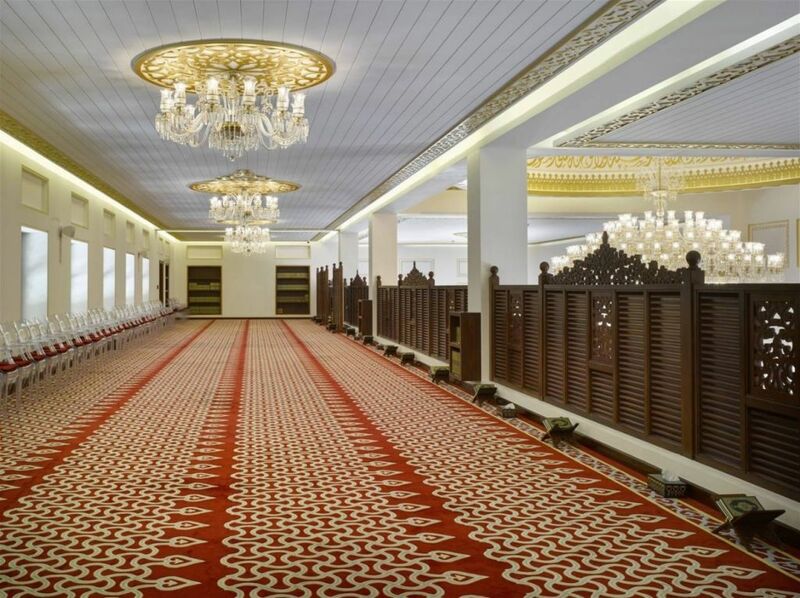 It includes a large hall for big events, as well as other service facilities. 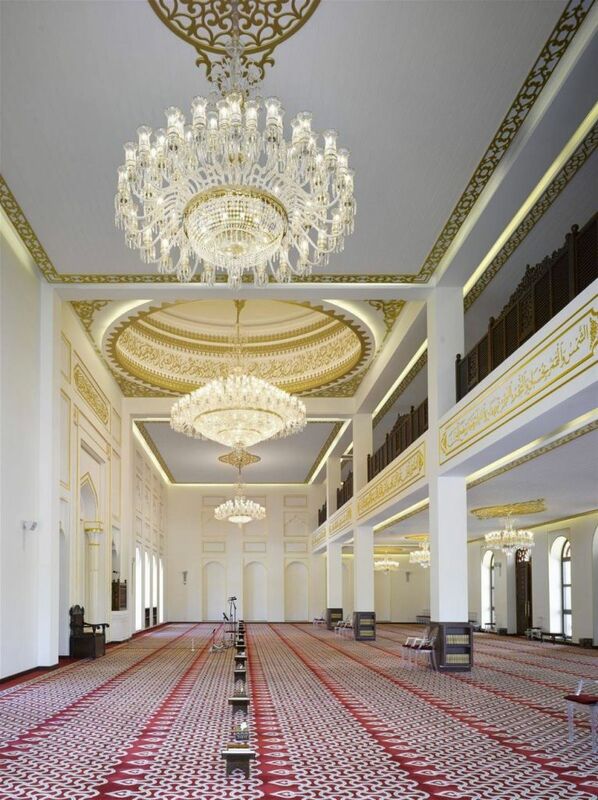 The 3,000 square metres, two-story mosque is equipped with a lift to ensure the comfort of worshippers. 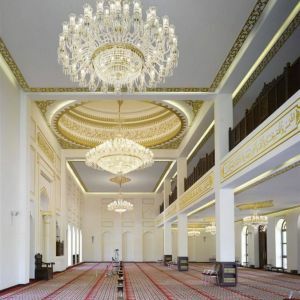 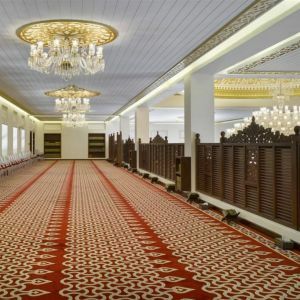 The state-of-the-art mosque can accommodate up to 2,000 worshippers, with 950 on the two floors, 850 in the courtyard and 250 in the womens’ hall. 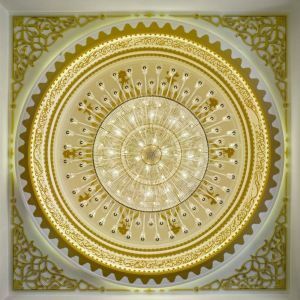 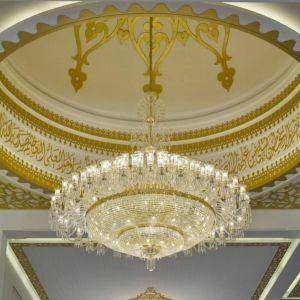 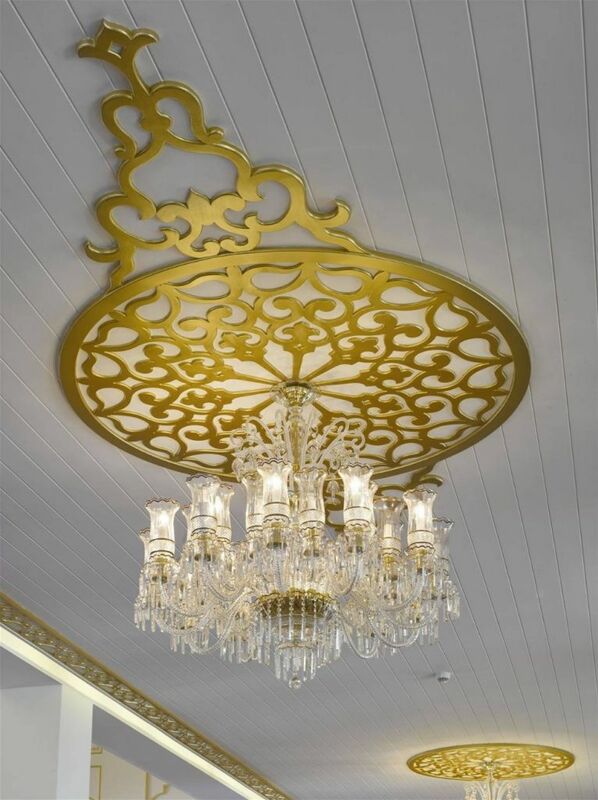 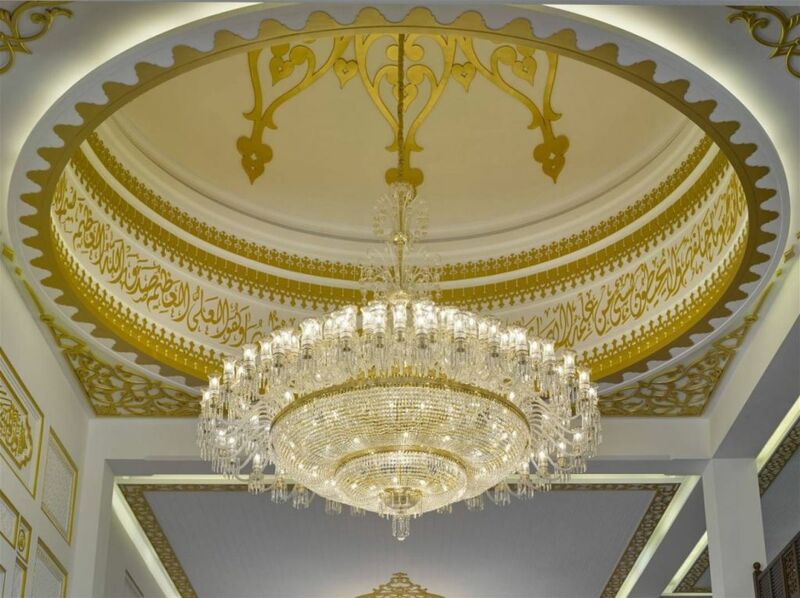 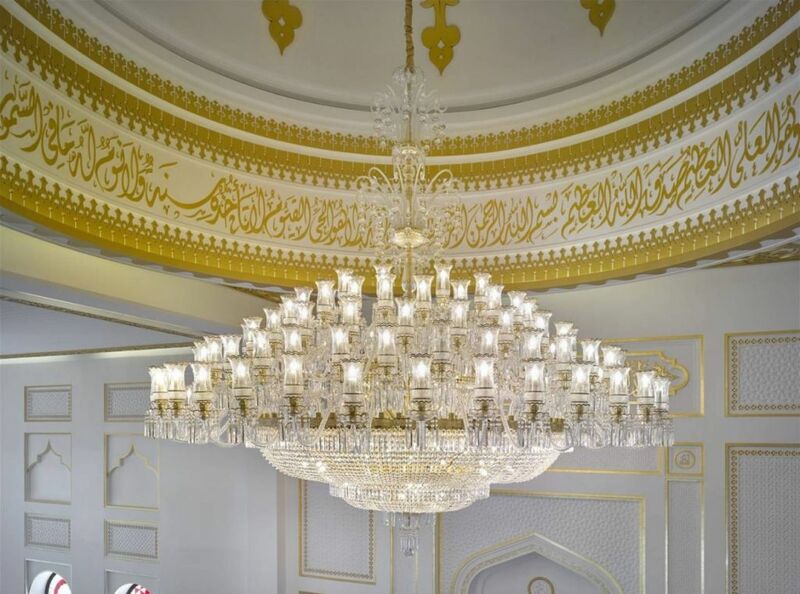 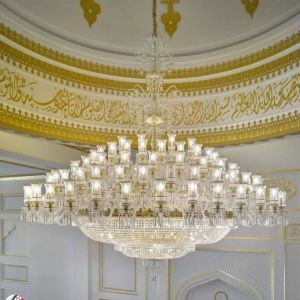 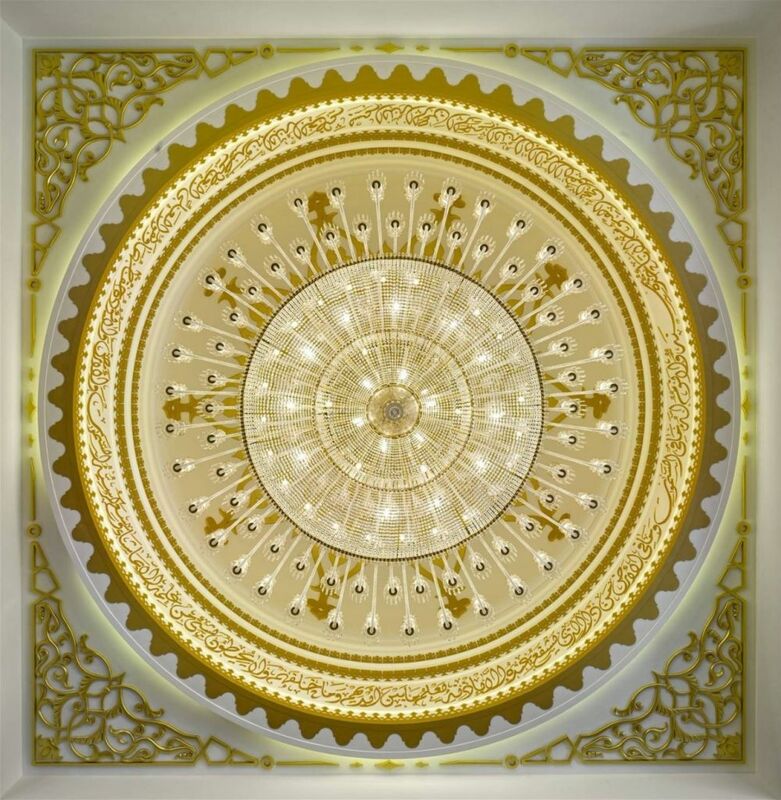 PRECIOSA is the proud supplier of all lighting fixtures for the mosque, in direct collaboration with Gulf House Engineering, based in Manama. 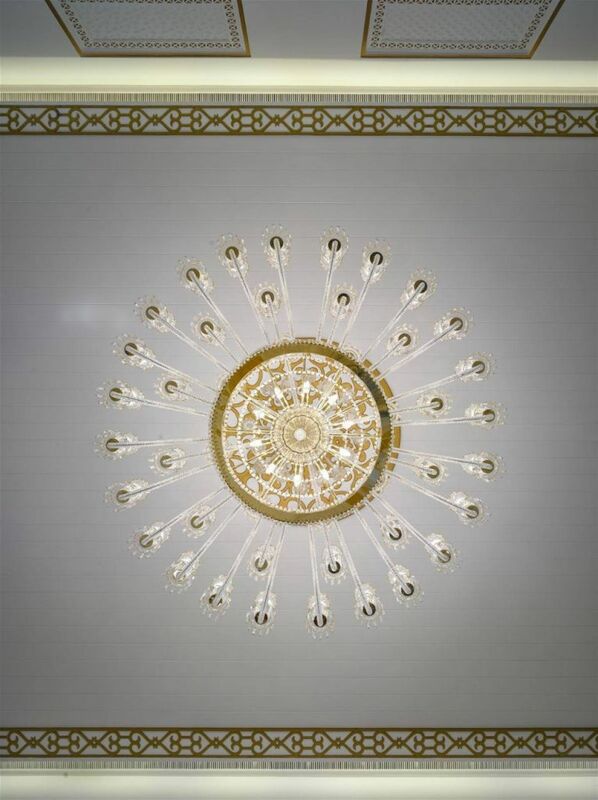 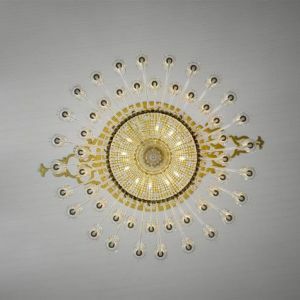 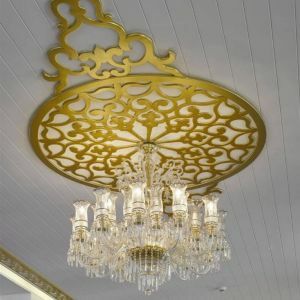 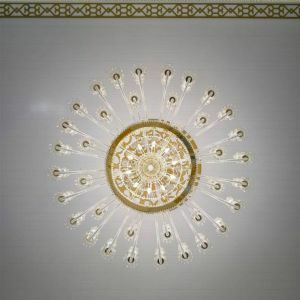 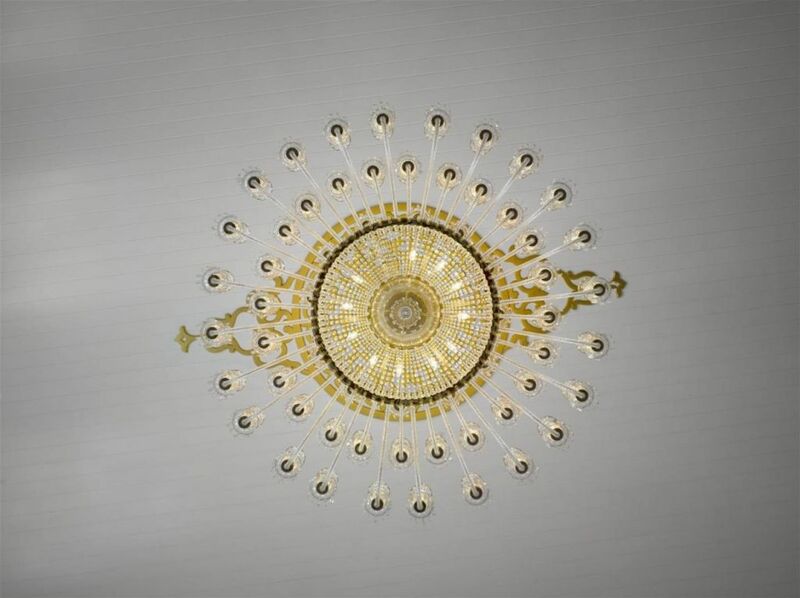 Bohemian hand-blown crystal glass and thousands of trimmings, some gold-coated, from Crystal Valley were used in the chandelier production.